Mo Farah and his daughter celebrate his win the in 5000m. 4. 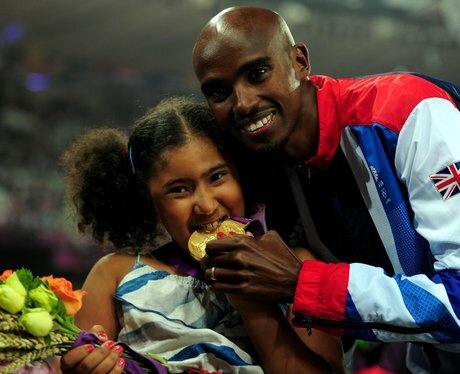 Mo Farah and his daughter celebrate his win the in 5000m.